My aerosol polish and cleaner is the most desired MagicAl product for its convenience and performance. 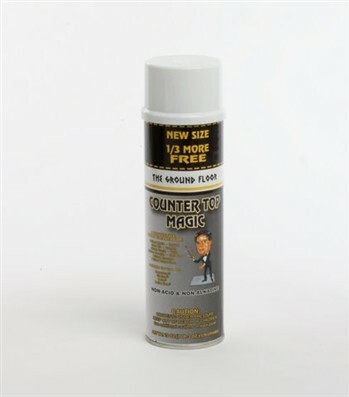 Counter Top Magic goes beyond merely providing your marble and stone counter tops and tables with a clean shine, it also protects against harmful chemicals that are prone to spilling and damaging these areas. You can actually watch the residue dissipate within seconds! Making cleaning very easy!